Explore the Northern Queensland Tropics with this luxury Cairns getaway, located in the heart of the bustling city yet only a short distance away from Queensland’s stunning natural marvels and reef life. 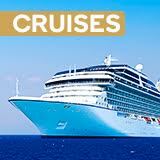 For enquiries please visit www.escapesguru.com.au or call on 1300 50 88 02. 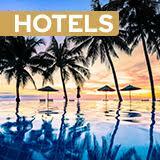 For any other assistance contact support@kogantravel.com or call Kogan Travel on 1300 517 210. 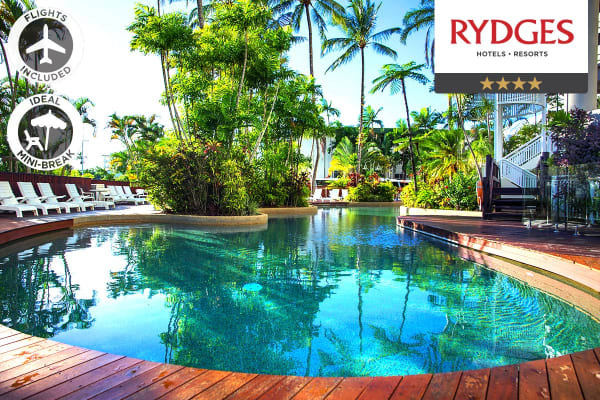 Located in the heart of tropical Queensland yet right in the centre of the action, explore the best that Cairns has on offer with this incredible getaway, perfect for a quick romantic getaway or a domestic family escape. Sizzle under the Northern Queensland sun while sitting at the resort pool, watching the world go by with a good book and cocktail in hand. This incredible resort has 3 pools to choose from! 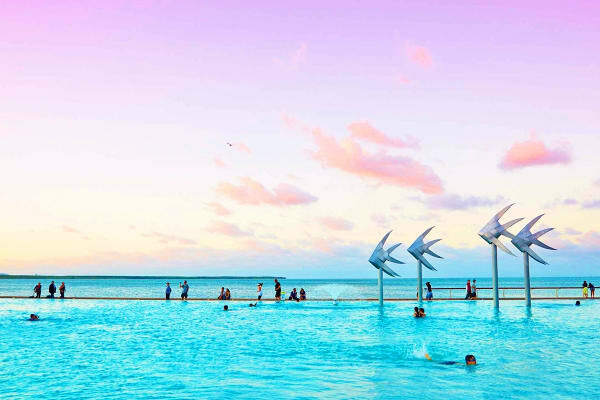 Explore Cairns’ energetic centre with the Esplanade only a few minutes from your doorstep, home to a bevy of world-class restaurants, bars, boutiques plus the Cairns Lagoon and Night Market. Wake up to stunning Coral sea views thanks to a great value complimentary upgrade to an Ocean View Room, soaking up the buzzing city atmosphere and tropical breezes from your private balcony. Venture out from the city and explore the lush tropics and wildlife of Northern Queensland with complimentary passes to Hartley’s Crocodile Adventure, or perhaps take a snorkel trip through the Great Barrier Reef with many tour departure terminals close by. 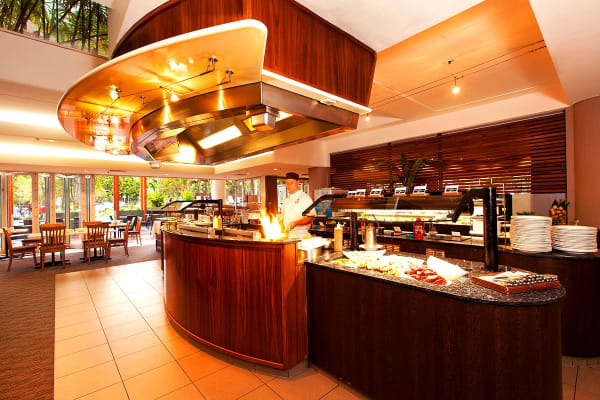 Treat your palate with a choice of a fresh seafood feast at the Fire & Ice Seafood Buffet or a delectable 3 course meal at the Coral Hedge Brasserie with this amazing value package!